Keeping one’s above water has become more difficult with Turkey’s Confederation of Trade Unions (Türk-İş) reporting that both the poverty and hunger thresholds have increased. 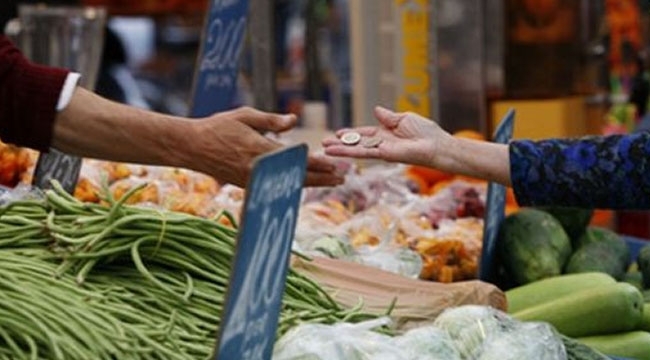 According to Türk-İş the poverty threshold reached 6,543 lira ($1,238) while the hunger threshold is 2009 lira. The cost of living for an unmarried employee without a child is 2,451.97 lira per month. According to the Türk-İş report, monthly food expenditure increased by 3.48 percent over the previous month and the annual increase was 24.34 percent in January 2019. The report states that for food expenses alone an extra 393.17 lira will be needed this year, while living expenses generally have increased by 220 lira compared to last month. Fresh vegetables and fruits were big contributors to the increase in food expenses. The average price per kilogram of vegetables increased by 25.9 percent compared to the previous month. The report also indicated that vegetables over 10 TL such as beans, eggplants and peppers, had not been taken into consideration.